Working in a particular field for years gives one a whole lot of experience. But a little inspiration for sure triggers one’s designing streak even more. If you are a designer and looking for stimulation of that designing corner of your brain, here are some brilliant logo design books which will definitely inspire you to create some magical logo designs. A designer must try to avoid certain mistakes while creating a logo or any design for that matter. Reading these logo design books will surely ensure that one is able to avoid any such mistakes. Inspiration books and logo design books as in this case also help us to follow certain logo design principles which are equally important while designing a logo as they are the identity of any business. If you are looking for some on-the-job like experience, this is a book that you must not miss reading. This second edition of the book has made it big like the first one. The book contains a lot of case studies, logo designs, tips to handle clients, insider stories etc. It completely prepares a designer to step out there in the real world and create an iconic brand identity. This book is a collection of approximately 6000 trademarks which depict the design trends of the period 1940-1980. With the design catalog, the book also features pieces of illustrations from Jens Muller on the history of logos. The readers may also find an essay by R. Roger Remington on graphic design and modernism. Alongside some designer profiles and instructive case studies, the life history of great designers like Paul Rand, Yusaku Kamekura can be found. All-in-all, the book is really informative. This is a masterpiece which comprises an incredible collection of pictorial representations which is a great source of inspiration for the contemporary designers. These designs provide a broad overview and a vivid taste of designs of the cutting edge designers. An eye-opening book it is which tells us life histories of world famous brands which are normally taken for granted. This book is a step-by-step guide for the designers who want to create unforgettable logos. This is definitely one of the best logo design books. This book is a guide and answers all basic questions a designer has while starting out in the real world. 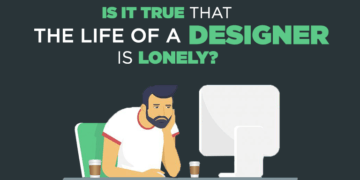 The author David Airey receives these questions every day from more than 600,000 designers who read his blogs viz. Logo Design Love, Identity Designed, and DavidAirey.com. The reader’s queries actually lead David to author this book. It’s an invaluable book for succeeding in today’s hyper-networked global market. This book is a best-selling in its genre and features a wide range of superior and latest designs. Being a one-stop resource, this book showcases the works of best designers from more than five hundred firms across the United States. A package of inspiring ideas is for anyone who is dealing in restaurants, entertainment venues, and organizations of all kinds. The Big Book of Logos 5 is an inspiring collection of the most exemplary and aesthetic logo designs from various international firms. These designs are selected from a competition in the year 2007. Providing endless research work and illustrations, this book is just perfect for the aspiring designers. A lot of inspiration can be taken from such logo design books. This book is all set to make every designer a better one. It’s like a logo bible which provides which is a great source of reference for the designers of today. So, the next time you are designing a logo, do take a look at this book. This one is a comprehensive collection of contemporary logo designs with more than 1300 logos categorized according to their focal form, symbol, and graphic associations. Michael Peters is one of the most significant design luminaries of Britain. This book is a complete story of Michael as a designer. His contribution to the history of commercial design is unmatchable. The author Michael Bierut has had one of the most varied and successful careers of any living graphic designer, serving a broad spectrum of clients. This book is a monograph and a design manual which showcases Bierut’s most significant thirty five plus projects. This is a very unique book for aspiring designers as it gives an insight into the world-renowned designers’ studios and gives step-by-step details as the ideas are executed. This book alongside logos also covers yet another vital areas of design; symbols and Icons. P.S. We do not intend to promote any kind of sale or purchase here. We have just tried to compile a list of logo design books we found to be the best. However, opinions may vary. Also, we have provided the link for purchase with a mere intention of our reader’s convenience. Please comment below if you find any link not working properly. Also comment below if you have any other suggestions for good logo design books for our readers.